Decote.tools is a website that provides you free online decoding tools that can help you identify malicious PHP code hiding behind obfuscated code (ex. FOPO). Tools at decode.tools can decode almost any tough PHP code or program into a simple and understandable form that can be easily analyzed to see whether its malicious or not. Let’s have a look at Decode.tools website online tools. Our Base64 online decoding tools helps you in decoding Base64 code in just one single click to ensure ease and efficiency. Our General Decode tools helps you in deobfuscating PHP codes, so you can easily identify whether or not PHP obfuscated code is malicious. 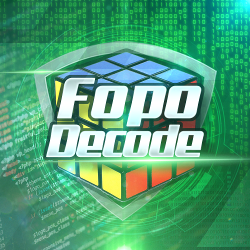 Fopo Decode will take FOPO Obfuscator PHP Code as input file and will deobfuscate it for you. Most importantly it doesn’t need any cipher key for deobfuscating the code. For any suggestion and feedback please do reach us. Webserver’s that using ModSecurity with Malware Expert – ModSecurity rules are protected against web attacks.